Foiling malicious attacks where they may strike! Stomping out evil, site-bleeding bugs from the netherworld! Single-handedly lifting development teams out of harm’s way! Look! Up and down the list! It’s a leader! It’s an influencer! It’s the SD Times 100 (with apologies to DC Comics)! This marks the fifth year we have given a nod to the organizations and individuals who have demonstrated leadership in their markets, based either on their share of those markets or on their technological innovation. 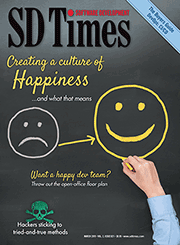 This year’s SD Times 100 shines a somewhat brighter light on the industry “Influencers”—those companies that we’ve identified as having the greatest impact on the software development landscape. Our lists of winners, by category, remain the same.